Julia's Fashion Minute: My exercise outfits. 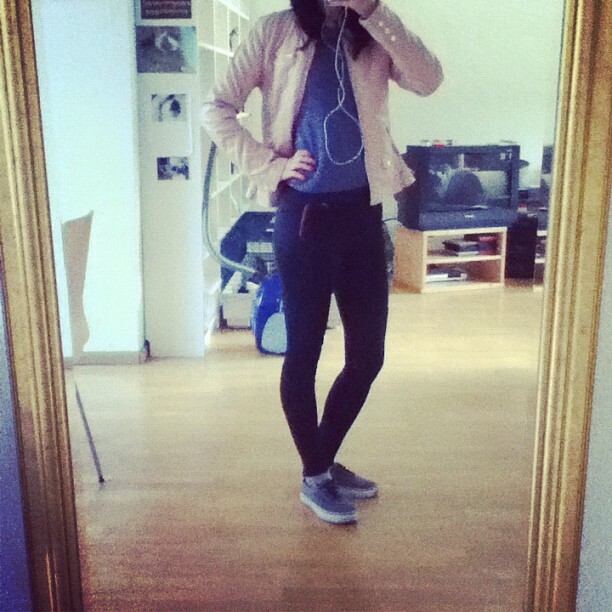 Today I decided to show you the outfits I wear when I'm exercising. If you follow me on twitter you already know that I do Yoga on Wednesdays & Pilates on Thursdays. Besides that I also have 45 minutes of gymnastics at school, on Mondays. 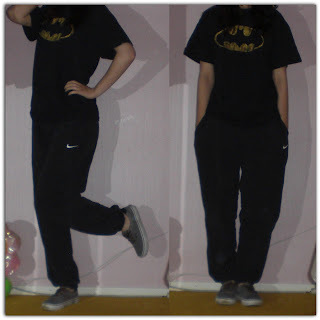 I wear sweatpants from Nike with a puma exercise top. Or sport 'leggings' from the H&M with a puma exercise top, depending on the weather. At first I only wore my sweatpants and my exercise top. But than I decided that I was going to jog, and that's when I bought the sport 'leggings' from H&M. The weather wasn't that nice when I bought the leggings, so I decided to first try them out at Yoga & Pilates. And that's when I discovered how much I like these leggings from Yoga & Pilates. So now I wear them during those exercises. 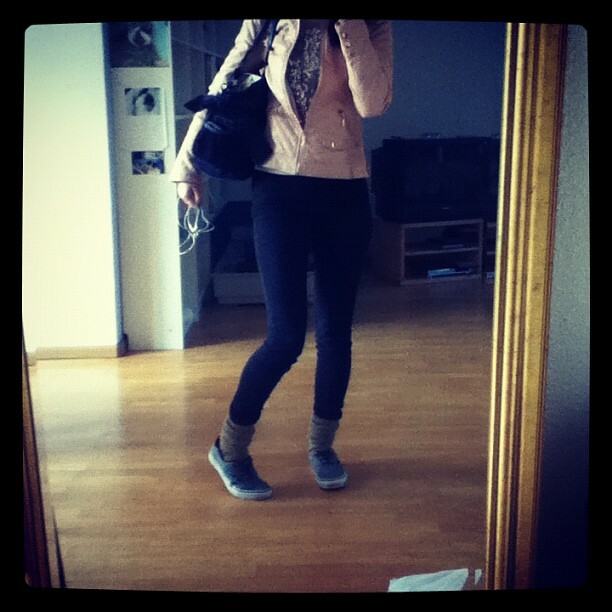 And who knows maybe I decide to wear the leggings when I start jogging this summer. During gymnatics at school I wear my sweatpants and oversized Batman shirt. Because gymnatics at my school not only means early on the Monday morning but also means boys, boys, boys and maybe 3 to 4 girls. How much do you exercise in a week? And what do you wear while your exercising? Beautiful workout clothing! All of your outfits are stunning. 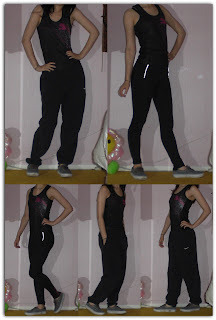 I will also buy some new pairs of best workout clothes for winters and I like wonderful collection at Carbon38.com. I would definitely be buying my clothes from this site.